I’ve worked in the aerospace industry for almost 5 years now since I graduated college. And whenever I tell people what line of work I’m in, they undoubtedly ask if I ever get to fly in the planes I work on for free. Sadly the answer is always no, actually there aren’t a whole lot of flight related benefits that being an engineer will get you. Generally, it’s only the flight attendants and pilots who get to fly for free. But even though my job doesn’t get me many freebies, that doesn’t stop me from trying to fly for free. When I first started flying as a young guy, I remember laying out in the back of a plane across three seats. But in the past 10 years, we’ve seen a huge shift with the airlines: fuel costs are rising, competition has gone up and that’s forced bankruptcies and mergers like the recent joining of American Airlines and US Airways. There are only three major airlines in the US now(Delta, AA and United) and generally less competition is a bad thing for consumers. I’m sure you’ve noticed that flying is pretty expensive these days and the big three airlines are some of the worst when it comes to added fees and lack of service. I always try to fly Southwest whenever I fly domestically but there are times when I have to go with one of the big three. Southwest is awesome when it comes to customer service and they rarely try to nickel and dime you like other airlines. Even though technically this isn’t really part of flying, it is something that you’ll need to think about every time you fly. We flew out of LAX this time, so I used a place called Sam’s Park and it ended up being only $10/day including the base rate($7/da7), tax and fees. Every situation and every airport is different so I usually like to compare my options when it comes to getting to/from the airport. I’ve done everything from public transportation, Uber/Lyft, car sharing to getting dropped off by friends. This is one area where the big three airlines tend to take advantage of flyers. AA charges $25 for the first checked bag and although that may not seem like a lot, you’ll have to pay it both ways and for each person you’re traveling with. 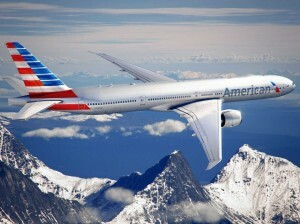 You can avoid this charge if you’re an AAdvantage Gold member but sadly I am not. AA is the only airline I don’t have status on even though it’s the one I fly on the most. But there is a way you can still get a free checked bag and that’s by signing up for the Citi Platinum Select AAdvantage Card. The nice thing about this card is that it also gets you Group 1 boarding and you don’t even have to pay for the reservation with your card. All you have to do is have your AAdvantage Frequent Flier number tied to the reservation and you plus everyone in your party will get group 1 boarding and one free checked bag. I actually discovered this method on my most recent flight. As we were boarding, the gate agent asked if anyone wanted to check in their bag at the gate for no fee. They usually do this in order to prevent the overhead bins from filling up. The only problem with this method is that you will have to lug around your luggage through security and to the gate. Once you’ve dropped it off though, you would pick it up at the carousel just like a normal checked bag. I’ve never cared for airline food and it doesn’t bother me one bit that they charge for it now. If my flight will be over 2 hours, I always make time to go to the grocery store the day before and get some snacks for the ride. If it’s a longer flight, I’ll usually buy a pre-made meal at Trader Joe’s or a similar place. I’ve found that pre-made salads keep really well for long periods of time but I’ve also taken on sandwiches, burritos and wraps. The key is to make sure that you get all the condiments on the side, that way your food doesn’t get too soggy sitting there for a few hours. I guarantee that whatever you bring onto the plane will taste way better than what the airlines are serving and it will also be a lot cheaper. I’ve always liked to imbibe a refreshing drink once I sit down on the plane but like any decent restaurant, airlines charge a premium for alcoholic beverages. A mini bottle of alcohol on an AA flight will cost you $7. Instead, I like to bring onto the plane my own alcohol mini bottles and create my own personal bar. Since sodas are free, the more you drink, the more you’ll save. As long as the size of the bottle is under the TSA approved limits, you should be fine. If you want to take it one step further, you could fill up reusable travel size bottles with your favorite alcohol. Now that’s cheap! Up until now, all of the savings have only been a few bucks but if you want to get the whole flight paid for, your best bet is to sign up for an AA credit card. I’ve actually signed up for 7 AA cards(6 personal, 1 business) over the past three years and gotten anywhere from 50,000 to 100,000 points each time. One roundtrip ticket from Los Angeles to Hawaii is 35,000 points so you can see how valuable each card would be. All of the Citi AA cards do carry an annual fee but it’s waived for the first year. I usually call in every year once my AF hits and see if they’ll waive it for me, if not, I’ll cancel. The nice thing about using miles on AA is that they only charge $5-$10 in fees. Other airlines like British Airways can charge up to a thousand dollars in fees on a roundtrip ticket when you pay with points! Right now you can sign up for the US Airways card and get 40,000 points after your first purchase. Since AA and US Airways are merging next year you’ll be able to use these points on American Airlines flights in the very near future. Readers, have you ever thought about all of the ancillary costs of flying or do you just focus on the price of the ticket? Are all these tips worth it to save a few bucks or do you not mind paying extra? Flying to Mexico tomorrow and I’m seeing if I can make the carry on happen. I don’t want to pay $50 round trip just for a bag! Haha awesome, lmk how it goes! Note that drinking your own alcohol on an airplane appears to be against FAA regulations and may subject one to fines. Taking your own alcohol is not only against FAA but you are also breaking TSA rules and you wonder why TSA gets crazier and crazier about <= 3 oz limit. The fine if you are discovered sneaking your own booze could be severe and may not be worth it unless you are a very young kid. College days are over…. I don’t think a bunch of $15/hr TSA agents care about me bringing alcohol onto the plane. In fact, I’m pretty sure a TSA agent was the one who recommended I do this in the first place!